Last week, IHOP made a cryptic announcement: It was flipping the "p" in its name to a "b." In the days since the June 5 announcement, speculation has spread across social media and news outlets as to what that “b” could stand for. Evidently, the all-day breakfast chain is moving into more traditional lunch and dinner fare. The morning of June 11, the brand announced via social media that the “b” in IHOb stood for “burgers,” a line of which it has now added to its menu. If the company’s primary goal was to raise awareness of its expanded menu through the campaign, it certainly succeeded. But cheeky campaign aside, the franchise is still known as a pancake destination. 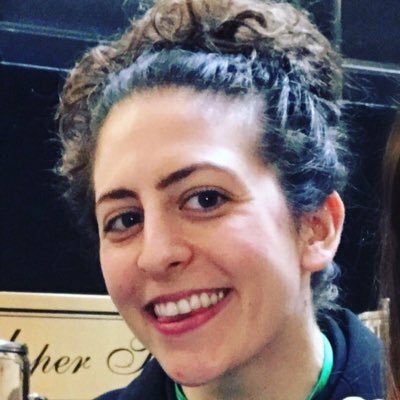 And since a short stack is typically made up of three pancakes, we thought we’d serve up three lessons communications professionals can take away from the campaign. Let your audience do most of the talking. After IHOP’s social media team posted several prompts asking what the “b” could be, 30,000 Twitter users responded with their guesses, according to a company press release. “Blockchain” and “bacon” were among the top retweeted guesses. By keeping the tone of its social posts fun and playful, IHOP’s campaign became a space for social media users to show off their own creativity and proclivity for wordplay. This led to the kind of active engagement that many social media professionals dream about: comments and shares, rather than just impressions or likes. Promote major campaigns across multiple channels. 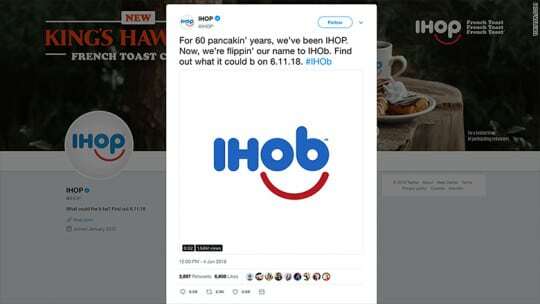 The company switched its verified Twitter handle from @IHOP to @IHOb. It also purchased the domain name ihob.com, which loads the IHOb logo (although IHOP.com remains the official company website). A Los Angeles location flipped its sign in preparation for a June 11 media event (cleverly dubbed a “VIB launch event party” in the press release). That, too, received attention on social media. When taking risks, secure an escape route (with a little help from your legal team). Outlets like CNNMoney wondered why a company whose parent company's stock had risen 25% in the last year would bother changing its name—a move often reserved for mergers or companies in trouble. But the press release indicates the name is likely only a temporary change, and the heading, “IHOP® CHANGES NAME TO IHOb℠,” uses a service mark, which refers to a service—the new line of burgers—rather than a brand name itself. And the company may need to backpedal soon. As of this writing, Wendy’s has already responded to the announcement with its trademark social media snark. Wendys’ message to IHOP is clear: If you’re going to play the burger game on social, you've got to be ready to go up against the reigning champs.